With a background of many years in the marine leisure industry along with over 14 years running this company the founder, Jeremy Haughton, along with his team, have a wealth of knowledge relating to the supply and installation of architectural rigging and balustrade systems to domestic and commercial client. 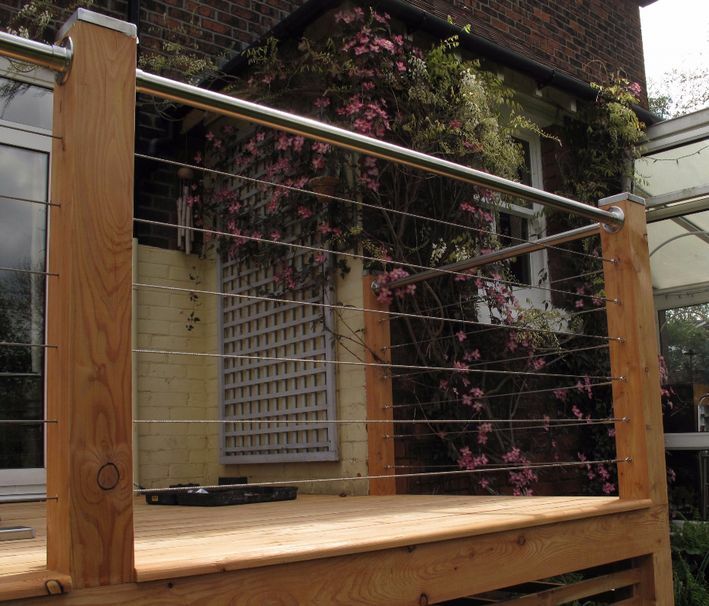 Our stainless steel infill wire systems are available as a kit, made to your dimensions and come as a complete set of components ready for installation to deck and patios balustrade posts. Wire assemblies are made up to exact site size and complete with all parts allowing balustrade systems to be rigged quickly and easily using only hand tools and requiring no previous experience. We specialise in the supply of economically priced stainless steel balustrade from 42mm or 48mm diameter stainless steel tube fitted with either glass or wire infill, frameless systems and stainless or timber handrails. Balustrade and handrail kits are supplied fully machined to site dimensions and are ready to fit. 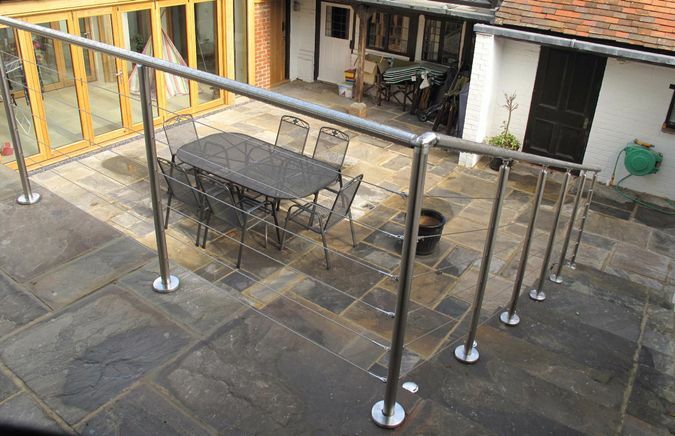 We pride ourselves on the quality and competitive cost of our balustrade systems. For the garden, our low cost stainless steel trellis systems give longer life and are much stronger than traditional wire trellis. 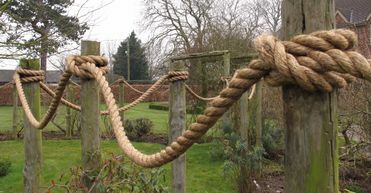 We stock traditional manila ropes for use as handrail, rose swags, lawn edging etc in sizes from 3/4" to 1 1/2" diameter. Our yacht rigging service draws upon over 25 years of knowledge and experience in the marine industry. We make up new rigging using using the original as a template using the highest quality fittings and wire. Turnaround is around 7 to 10 days.